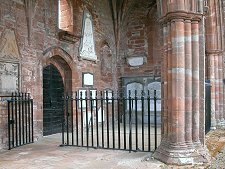 Immediately to the south east of Fortrose's narrow High Street is the surprisingly spacious Cathedral Square, home to the red stone remains of Fortrose Cathedral. 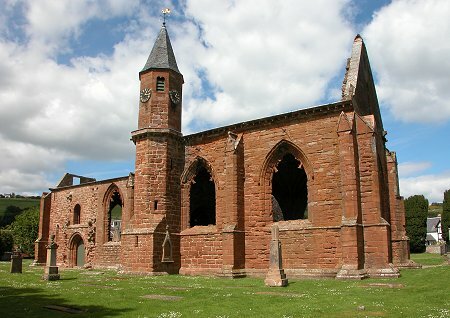 The site was chosen for a new Cathedral of Ross by Bishop Robert to replace the Church of St Peter in nearby Rosemarkie. This followed permission granted in 1236 by Pope Gregory IX, reaffirmed in the 1250s by Pope Alexander IV. The cathedral was probably finished by 1300 as a fairly simple structure some 185ft long and 25ft wide. The 1400s saw additions made in the form of a south aisle and chapel, plus a tower. 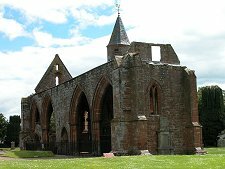 Cathedrals lost their status after the Reformation in 1560 and services ceased at Fortrose. The fate of much of the building was sealed fairly quickly, when the lead from the roof was granted to Lord Ruthven in 1572. And in the 1650s the stone from the now roofless and decaying nave and choir was removed to help construct Cromwell's citadel at Inverness. This left just what you see today, two apparently disconnected buildings. One was the later south aisle and chapel, which survived primarily through their use as a burial enclosure. This represented a continuity of use, as these later parts of the cathedral were probably funded by Euphemia, Countess of Ross, whose effigy continues to mark her last resting place here. What looks today like a freestanding building nearby was originally the sacristy and chapter house extending from the north side of the choir of the cathedral. 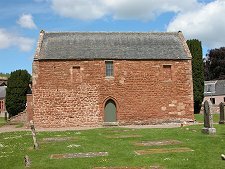 These went on to serve as Fortrose's tolbooth after the rest of the cathedral was removed, and the first floor room continued in use as a meeting place for Fortrose Burgh Council until 1939. Fortrose Cathedral today stands serenely in its tree lined square as two fragments of its former glory. It is possible from ground level paving and landscaping to gain an impression of the size of the original cathedral, but it has to be said that Cromwell's men did a remarkably thorough job, and none of the pier bases or vestigial walls that remain at places like St Andrew's Cathedral survive here. The south aisle and chapel the focus of interest of what remains, though they can only be viewed externally through railings. 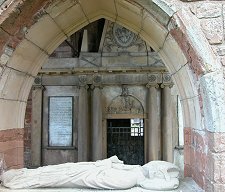 As well as the effigy of Countess Euphemia resting in its canopied monument, there remains the partial effigy of Bishop Robert Cairncross, who was interred here in 1545, in blissful ignorance of what would happen to his cathedral just 15 years later. The west end of the south aisle went on to become the burial place of the Mackenzies of Seaforth and there are some highly decorative memorials here. 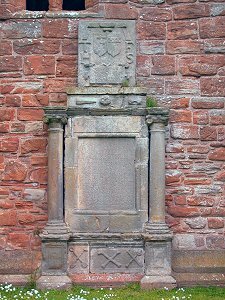 In particular the memorial erected in 1800 to Major General Sir Alexander Mackenzie by his son provides a focal point for much of the aisle, overshadowing earlier monuments as it was doubtless intended to.